Negotiations are known to proceed differently across cultures. A realistic agent model of international negotiations has to take cultural differences into account. 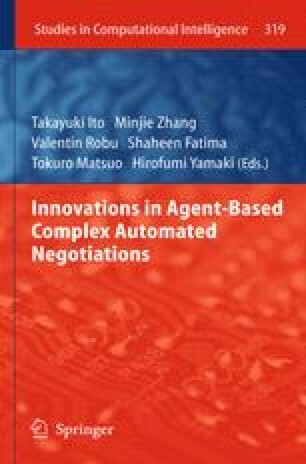 This paper presents an agent-based model that tackles this challenge. The context is a trade game where commodities with a hidden quality attribute are exchanged. The negotiation model uses the ABMP negotiation architecture. It applies a utility function that includes market value, quality preference, and risk attitude. The indices of the five dimensions of Hofstede’s model of national cultures are used, in combination with agent’s group membership and societal status, to differentiate negotiation behavior by adaptation of weight factors in the utility function and ABMP parameters. The paper presents test runs with synthetic cultures and a set of actual national cultures. The present version of the model helps to understand behaviors in international trade networks. It proves that Hofstede’s dimensions can be used to generate culturally differentiated agents.